Jesus said to his followers, "You are the light of the world. A city on a hill cannot be hidden." We want to be a people transfixed and transformed by the light of Jesus rising over us like the dawn of a new day and bringing healing to our hearts, our homes, and our city. It was this vision that ultimately drew Father Trevor and Bonnie McMaken to Aurora, nicknamed “The City of Lights,” where the Lord was already moving in hearts and churches throughout the city. In 2013, Trevor and Bonnie began praying with other pastors at their current church (Church of the Resurrection in Wheaton) and in Aurora about planting a new church. Over the next 18 months, the Lord brought together a team of people with a heart for the city of Aurora and seeing the heavenly city—the true City of Light—here on earth. After much prayer, we began gathering together at Nancy Hill Elementary as City of Light in the fall of 2015. You can hear more about our story and mission by RSVP-ing for one of our regular Welcome Lunches. A new church in Aurora finding a new day in Jesus, a new home in his church, and a new heart for our neighbors and neighborhoods. Our community is shaped by shared beliefs and practices that have characterized Christians for centuries. City of Light is a church that is fully evangelical, fully sacramental, and full of the Holy Spirit. We believe in the power of Jesus to transform our lives, families, and communities through his church empowered by the Spirit. Our faith is summarized in the words of the ancient Creeds (like the Nicene Creed) understood in their plain and historic sense and in the Jerusalem Declaration (read below under "Our Anglican Family"). To be an Anglican isn’t to embrace a distinct version of Christianity, but a distinct way of being a “Mere Christian,” at the same time evangelical, apostolic, catholic, reformed, and Spirit-filled. 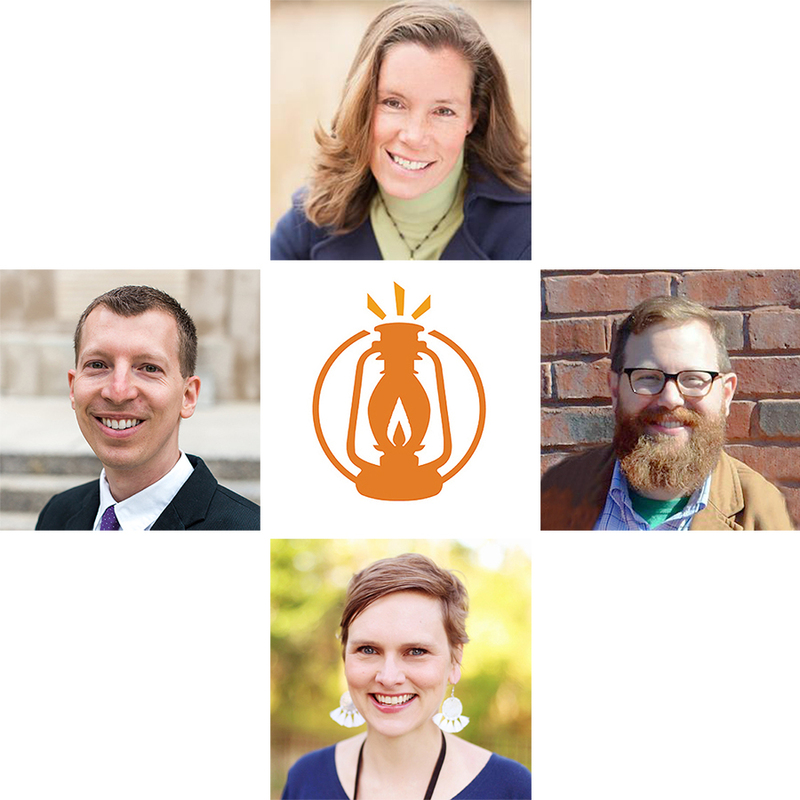 While those leading and serving must affirm these basic tenets of faith, all are welcome at City of Light—doubters, skeptics, the curious, the burned-out—to join us and explore what the Bible teaches and how we practice it together. We worship together on Sunday around the Word (the Bible) and Table (Communion). We journey together through the church calendar of feasts and fasts, sabbaths, and seasons. We give generously of our time and money from our hearts. We love and serve our neighbors and neighborhoods. We partner together in following Jesus as disciple-makers and inviting others to follow him. We plant new churches where people can find a new day in Jesus. Our Sunday gatherings include ancient liturgy with fresh expressions in beautiful arts and music that center around the Word (the Bible) and the Table (Communion). Our worship life together is shaped by the Book of Common Prayer, a collection of ancient prayers and practices saturated with Scripture. We have City Kids Children's ministry for infants - 5th grade for the first half of the gathering, though children of all ages are always welcome in our service, where we read and hear the Word of God. Then the children join us for the second part of the service where we gather around the Table together. Read more about City Kids here. We sing, read, and pray in English with parts of the service in Spanish. We are so glad to be a part of the Aurora community and to be able to join with others churches in Aurora in loving and serving our city. Father Trevor McMaken is the pastor of City of Light and is passionate about the light of Jesus shining in our hearts, homes, and city of Aurora. He and Bonnie began attending Church of the Resurrection in Wheaton in 2004, and Trevor joined the staff team there in 2007. He graduated from Wheaton College in 2007 with a music composition degree. He also has an MDiv from Northern Baptist Theological Seminary. Pastor Bonnie McMaken is the worship pastor at City of Light. She loves the way that honest art, music, and beauty can lead us into life-transforming encounters with Jesus. She graduated from Wheaton College in 2007 with a degree in Christian Formation and minor in music. Prior to serving as the Worship Pastor at City of Light, Bonnie has worked as a writer, marketer, and editor in the non-profit sector. They have three children: Nora, Finn, and August, and live in a 101 year-old home just a few blocks from Nancy Hill Elementary School. In their spare time, they enjoy writing and performing music, large Sabbath breakfasts, and exploring the banks of the Fox River. Father Trevor McMaken— See above. Margaret Philbrick—Margaret Philbrick has been at Church of the Resurrection for almost 20 years and will be providing coaching for City of Light's Parish Advisory Council. She has spent the last several years at Resurrection on Vestry, Prayer Ministry and serving refugees. Margaret writes, teaches writing and literature and germinates seeds on her windowsill. Her husband Charlie is her partner in everything, including raising their three children and walking their Yorkie-poo dog, Snuggles. Mark Peterson—Mark Peterson and his wife Amy have had the privilege of journeying with City of Light since its early days. Mark has served on the board of City of Light's sending church in Wheaton, as well as another Christian nonprofit organization in the Wheaton area. In addition to the Parish Advisory Council, Mark serves in City Kids and helps with the projection team. At home in the Fox Valley since 2004, Mark and Amy live in Batavia and Mark works in Oswego. They homeschool their 7 children. Erika Solgos—Erika Solgos is a mother to four teenagers and wife to her English teacher husband, Casey. Erika grew up in Aurora, and has now been a home owner in Aurora for over a decade. She has a MSSW which has served her well as she navigates the needs of her family and community. She has most recently worked as a Director Compassionate Entrepreneur for a company called Trades of Hope, which creates a marketplace for fair trade artisan goods. Erika looks for redemption in all the hard places of her life, and seeks to share that hope with others. 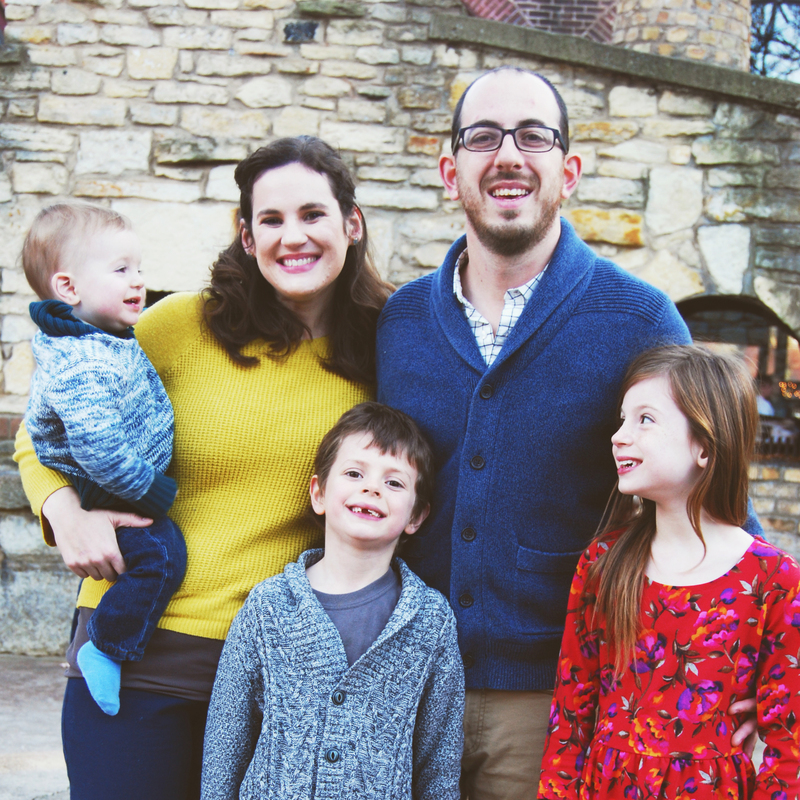 Cory Whitehead—Cory was part of the original City of Light Launch Team, leads the Kids Hope ministry at Hill Elementary School, and is passionate about mentoring at-risk youth, pretty much everything Aurora-related, and connecting with our neighbors in new ways. He is the Executive Director of Mission Advancement at Christianity Today, leading the ministry's development and communication efforts and having served there since 2000 in various roles. 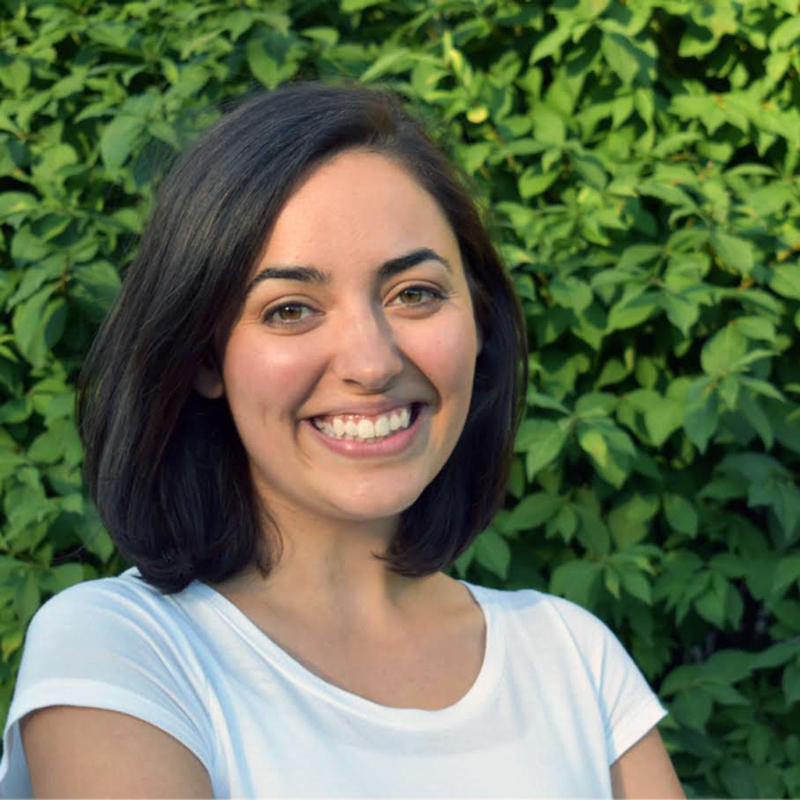 Grace Kircher is a Ministry Resident and is excited about creating a culture at City of Light where generations are welcomed into God's family. Grace enjoys leading various Sunday morning teams as well as a disciple-making group with her husband Jason. They have been at City of Light since May 2016 and before that were at Church of the Resurrection. Bishop Stewart Ruch III is the pastor of pastors in our family of churches across Illinois, Wisconsin, Minnesota, Iowa, and Missouri. Stewart is married to Katherine, and they have six children. Their first love and passion is raising their children and developing their family as a “domestic church." Together they lead Church of the Resurrection, where they marvel at the move of God they have been swept up in for the last 25 years. One of Stewart's ministry passions is raising up leaders and church planters. In 2013, Resurrection sent out their fifth church plant, Immanuel Anglican Church and in 2015 its sixth church plant, City of Light Anglican Church. 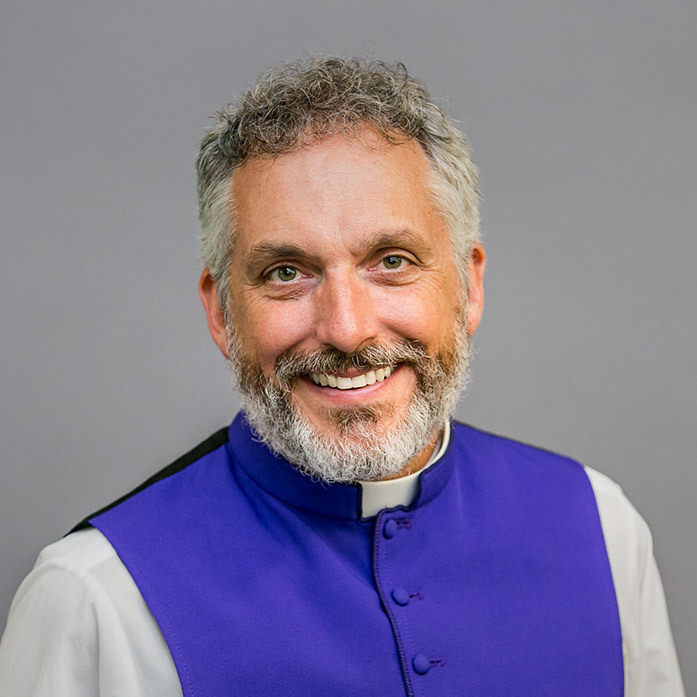 In September 2013, Stewart was consecrated Bishop of the Anglican Diocese of the Upper Midwest (ACNA), and has a vision to see a Revival of Word and Sacrament infused by the Holy Spirit in the Upper Midwest. Stewart loves running; reading novels, biographies, and leadership books; and spending as much time as possible in forests and streams with his children. Read Bishop Stewart’s bio here. As Anglicans, we’re part of a family from around Chicagoland and around the world. We were sent by Church of the Resurrection in Wheaton and are a part of the Upper Midwest Diocese of the Anglican Church in North America and a member of GAFCON—a global movement of millions of Anglicans worldwide.